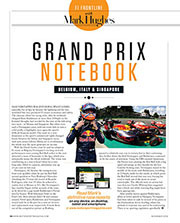 "Why didn’t you tell me he hadn’t pitted,” raged Kimi Räikkönen over the radio as he saw his team-mate Sebastian Vettel emerge out of the Melbourne pit lane ahead of not just him but the erstwhile leader Lewis Hamilton. “Don’t ***k me like that.” Triggered by the awkward stopping place of Romain Grosjean’s Haas, after one of its wheels wasn’t tightened properly at its pit stop, a VSC was, of course, the random factor that won Vettel’s Ferrari the Australian Grand Prix against the run of play, leap-frogging him ahead of Räikkönen and Hamilton. But that isn’t what Kimi was raging against. All weekend he’d had Vettel’s measure. It was he, not Vettel, who’d put the new Ferrari on the front row, he who’d been the lead chaser of Hamilton’s dominant Mercedes. It was he who had pulled out four seconds on Vettel during the first stint of this one-stop race and who was never under any threat from the supposed team leader. Räikkönen was just more at ease with the new longer wheelbase 2018 Ferrari SF71 than Vettel. 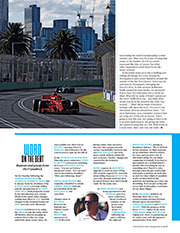 His less aggressive corner approach was a better fit with the car’s sometimes tricky, edgy transitions, he could more readily find a flow within the car’s limitations around Albert Park than could Vettel. But what had so irritated Räikkönen wasn’t that a random VSC had sprung Vettel ahead – that was just one of those things. It was the fact that after his own pit stop on lap 18, he hadn’t been informed that for the next eight laps Vettel had remained out there. With Kimi just driving to a set pace, it might have been possible for Vettel to have ‘overcut’ himself ahead of the other Ferrari, without any VSC intervention. Räikkönen hadn’t realised he was still racing against his team-mate and so hadn’t upped his pace to neutralise that threat. 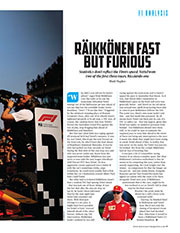 As it was, that threat didn’t materialise as Räikkönen’s pace on his fresh soft tyres was generally better – and Vettel on his old ultras was around 6sec adrift from having been able to overcut past Räikkönen without the VSC. 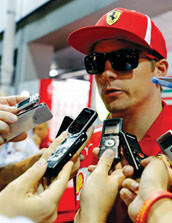 The point was, Kimi’s own team hadn’t told him – and that made him paranoid. By all means leave Vettel out there just in case of a VSC or safety car – that was logical, given that Vettel was under no undercut pressure from behind – but Räikkönen should have been told, so he could be sure to maintain the required pace to keep him ahead in the event of there not being any interruption to the race. It made him think they might have been trying to sneak Vettel ahead of him. In reality that was never on the radar, for Vettel was just too far behind. But from the cockpit Räikkönen had no way of knowing that. It was just a bit of competitive racing tension in an always complex sport. 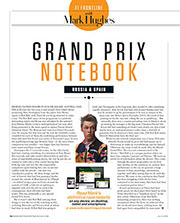 But what Räikkönen’s irritation underlined is that he seems to be competing this year, rather than merely supporting. 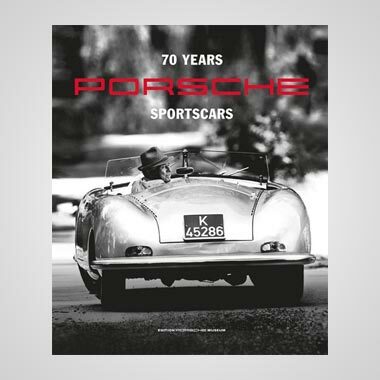 He’s lost weight over the winter – to compensate for that the longer car has put on – and just seems leaner, hungrier. Rumours persist that Daniel Ricciardo has signed an option with the team to be there alongside Vettel next year. If Räikkönen understands that is the case, might he be less inclined to act as Vettel’s foil in what may be his final season? Wouldn’t his pride insist he shows he is still a force to be reckoned with? Anyway, he finished third in Melbourne and Vettel won. But it was only the timing of Grosjean’s loose wheel that had decided that. Otherwise it would’ve been a Räikkönen-Vettel 2-3 behind Hamilton. INTO BAHRAIN FOR round two, Ferrari had been working at further refining and understanding its car, which appeared with detail aero changes. Around the Sakhir track it was the class of the field, a crucial tenth or so faster than the Mercedes. Räikkönen was into the car’s groove immediately, Vettel was taking longer finding it. But by Q3 Seb was homing in on the car’s sweet spot. 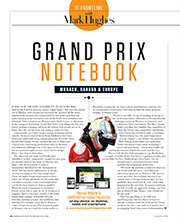 In his first run he clattered across the final kerb and Räikkönen sat on a provisional pole as the last runs beckoned. Out they came again, Vettel ahead on the road, Räikkönen having to find a way past traffic on his out-lap while still preparing his tyres. Vettel ‘copy and pasted’ his first lap but without the mistake at the end, shading Räikkönen’s provisional pole. Kimi’s second run was overly compromised by the preparation lap and he had to settle for second. “It was far from ideal with the traffic,” he said. “I thought there is a lot we can improve but, obviously, it was such a messy thing in the end, I was passing people and doing this and that, so it’s disappointing.” Reading between the lines of Kimi-speak, he was irritated at where the team had put him out on track for that final crucial run. His paranoia antenna might have been twitching again – possibly with good reason. Vettel drove beautifully under pressure to win in Bahrain, converting from a two-stop to a one so as to fend off the harder-tyred Mercedes of Valtteri Bottas, tyres almost to the canvas by the end but defending perfectly from the faster car. Räikkönen had been running third at a stage in the race where it wasn’t clear whether it was best to bring Vettel in for a second stop or leave him out there on degrading tyres but with track position. So Räikkönen was used as the guinea pig, being brought in for a second stop and a set of super-softs. Kimi’s pace on these would inform Ferrari if bringing Vettel in would allow him to catch and pass Bottas. So he was finding himself being used as Vettel’s foil again – and it all went back to that final tyre prep lap in qualifying. In the event, Ferrari didn’t get to find out about two-stop vs one-stop pace because Räikkönen’s stop went badly wrong. The left-rear wheel wouldn’t come off and Ferrari’s traffic light system, registering that all four wheels were on (but not that one of them had never come off), gave Kimi the green light. 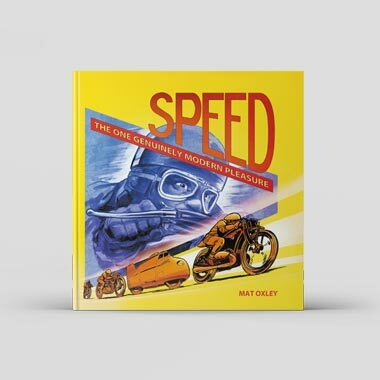 As he accelerated away he scooped up the mechanic Francesco Cigarini standing in front of the rear wheel, twisting his leg horribly and giving him multiple fractures. Kimi, with the wrong tyres on and the pit crew tending to the injured man, was immediately told to stop. He removed the cockpit halo, climbed out and retired. SO TO CHINA and qualifying was uncannily like that of Bahrain, except the Ferraris’ advantage over Mercedes was exaggerated in the very cool conditions. It again came down to a Vettel-Räikkönen slug-out in Q3, Kimi was again ahead after the first runs, Vettel yet again snatched it away from him in the dying seconds. This time Räikkönen had been sent out ahead on track so could have no complaints. Vettel had just played the big point masterfully, as always, had squeezed more from himself than Räikkönen was able to. It came to matter at the start of the race. Räikkönen got better traction off the line than Vettel, who swerved aggressively towards the other Ferrari to keep it behind. As Räikkönen was obliged to lose momentum to avoid contact, so it put him in all the wrong places of track in those vital opening seconds, Bottas going around his outside, Max Verstappen’s Red Bull moving ahead a couple of corners later. He should have been leading, but Vettel’s aggression had relegated him to fourth. Vettel led the race from Bottas, the Mercedes then undercut itself ahead at the pit stops – and Räikkönen was left out there, guaranteeing to lose him further places as others pitted and set a hot pace on fresh rubber. 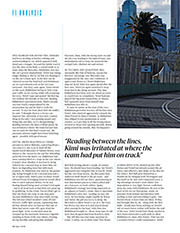 Again, Räikkönen’s strategy was being expressed as an adjunct to Vettel’s, rather than to maximise Räikkönen’s own race. Leading on very old tyres, he was being caught rapidly by Bottas and Vettel. His job was to try to delay the Mercedes to allow Vettel a run at it. He tried, but Bottas was wise to it and stayed ahead after passing for the lead. Only then was Räikkönen brought in – those extra laps on old tyres had dropped him from fourth to sixth. But still this race had some surprises to come. A safety car to allow some Toro Rosso accident debris to be cleaned up just after Bottas and Vettel had already passed the pit entry road offered a new shake of the dice for the others. Red Bull gave themselves a double-six by bringing both Verstappen and Ricciardo in for new soft-compound tyres, a big advantage around a track where tyre degradation is very high. Ferrari could have done the same with Räikkönen. He was at the back of the six-car lead group, under no pressure from behind and therefore with nothing to lose and everything to gain – but Ferrari chose to leave him out there. 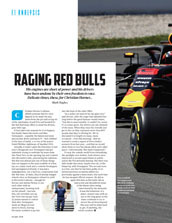 If they had brought him in, he – along with the Red Bulls – would have been arriving on Vettel’s tail on much faster rubber well before the end of the race. Vettel would have likely needed to have been instructed to pull aside to allow Räikkönen to chase after Bottas. That was not a scenario Ferrari could countenance. Vettel was leading the world championship as their number one. What was the point of losing him points to his number two? It was never expressed like this, of course, but what other explanation could there be for the team’s actions? 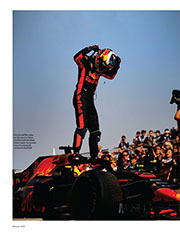 As Ricciardo went on to win a thrilling race (taking advantage of a crazy attempt by Verstappen to pass Lewis Hamilton around the outside of the fast Turn Seven), Vettel was hit and spun by Verstappen, damaging the Ferrari’s floor. In that moment Räikkönen finally passed his team leader. He pressured Bottas hard, but ultimately had to settle for third. What did he make of Vettel’s actions at the start? “Difficult to say… you think what would you do in the situation the other way around….” What did he think of Ferrari’s strategy calls upon his race? 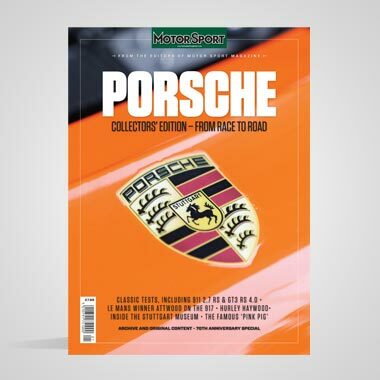 “It’s easy to say afterwards what we should have done…” It’s such diplomatic, non-committal, answers that are a big part of his role at Ferrari. If he’s going to win this year, he’s going to have to do it on pure performance, not giving the team the option of using him as a foil. With Vettel as a team-mate, that’s one very tall order.